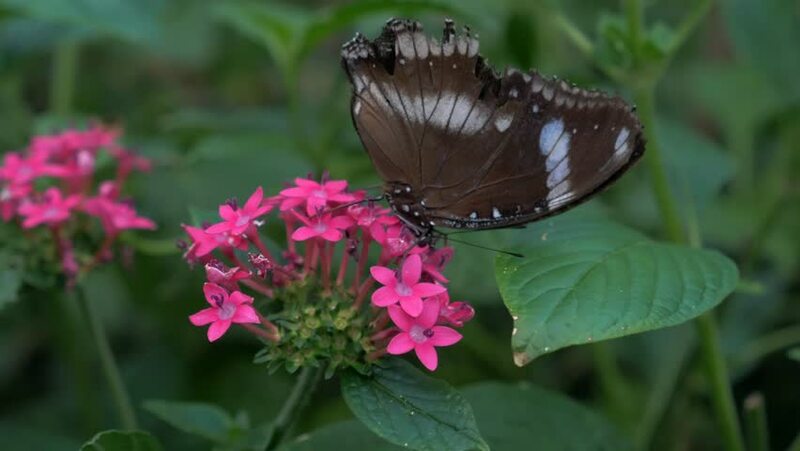 Small black and white butterfly on a purple flower with deep green leaves as a background. 4k00:24An orange butterfly on a red flower eats nectar. hd00:11Slow motion Giant Swallowtail (Papilio cresphontes) butterfly. hd00:11Yellow swallowtail butterfly feeding on pink flowers. Slow motion recording originally shot at 60fps, slowed down to 25 fps.